Hollywood loves to cast White actors in minority roles, but Ed Skrein just shut down all their excuses with a single tweet. In an unprecedented move, Deadpool star Ed Skrein released a statement announcing his exit from the Hellboy reboot. Lionsgate has also responded. 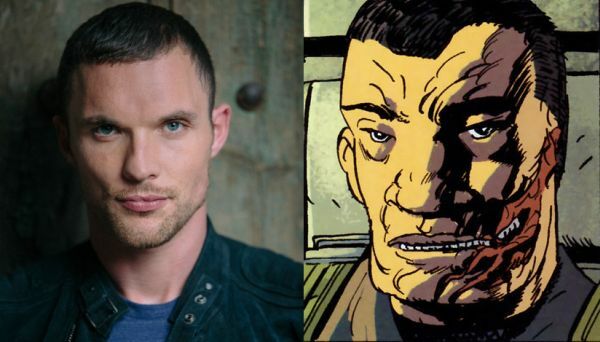 Deadpool actor Ed Skrein had signed on to play Major Benjamin Daimio for the pcoming Hellboy reboot from Lionsgate. He's a mixed Japanese character. The casting was derided as yet another attempt to erase a minority character with a White one. The practice is known as "Whitewashing" and has a long history in Hollywood. The earliest example is from the early Charlie Chan movies from the 1930s. Swedish actor Warner Oland wore makeup to play the Asian detective. Sometimes it's more obvious than others. For example, even though the character is traditionally Arabian White actor Liam Neeson plays Ra's al Ghul in Batman Begins. No one noticed or cared. Ghost in the Shell (2017) cast Scarlett Johansson as Major Mira Killian and the blacklash was severe. When she was asked about it, she gave Entertainment Weekly the typical non-committal answer. "I certainly would never presume to play another race of a person," she said. "Diversity is important in Hollywood, and I would never want to feel like I was playing a character that was offensive." Producer Steven Paul went further in an interview with BuzzFeed saying that the character doesn't need to be Japanese. "I don’t think it was just a Japanese story," he said. "Ghost in the Shell was a very international story, and it wasn’t just focused on Japanese; it was supposed to be an entire world. That’s why I say the international approach is, I think, the right approach to it." Ed Skrein was having none of that. In an unprecedented move, the 34-year-old actor publicly quit the project on his personal Twitter account. "It is clear that representing this character in a culturally accurate way holds significance for people, and that to neglect this responsibility would continue a worrying tendency to obscure ethnic minority stories and voice in the arts. I feel it is important to honor and respect that. Therefore I have decided to step down so the role can be cast appropriately," the actor wrote. He added, "Representation of ethnic diversity is important, especially to me as I have a mixed heritage family. It is our responsibility to make moral decisions in difficult times and to give voice to inclusivity. It is my hope that one day these discussions will become less necessary and that we can help make equal representation in the arts a reality." He also wrote, "I am sad to leave Hellboy but if this decision brings us closer to that day, it is all worth it. I hope it makes a difference." He pointed out many things like the fact that characters are important and people don't need to just "get over it". Minority stories and voices are important and make the arts richer and fuller. Ignoring the outcry, like they did with Ghost in the Shell, can cause immense pain even unintentionally. After Skrein's shocking announcement, Lionsgate released their own statement to Deadline supporting him saying, "Ed came to us and felt very strongly about this. We fully support his unselfish decision." They added, "It was not our intent to be insensitive to issues of authenticity and ethnicity, and we will look to recast the part with an actor more consistent with the character in the source material." So, not only did the actor take a stand. The actor's stand moved the studio to rethink whitewashing in the first place. Let's hope more actors have the courage to step up and demand more from Hollywood. I'd never heard of the guy but whatever movie role he does next is going to be my new favorite film. What do you think of the casting? Do you think Ed Skrein did the right thing? I hadn't heard of him either until Deadpool last year, because of that I'm sure he's not hurting for work. Ghost in the Shell was probably the most literal example of whitewashing as they took a Japanese brain and put it in Scarlet Johannson's body. Though I don't think it's as offensive as like when Johnny Depp played Tonto. And that was what, less than 10 years ago? Or that Exodus movie with Christian Bale, Aaron Paul, and so forth as Egyptians. Gimme a break.